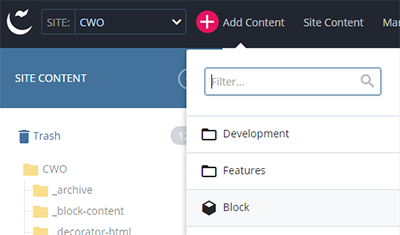 Find out how to add content to a general CMS template page. 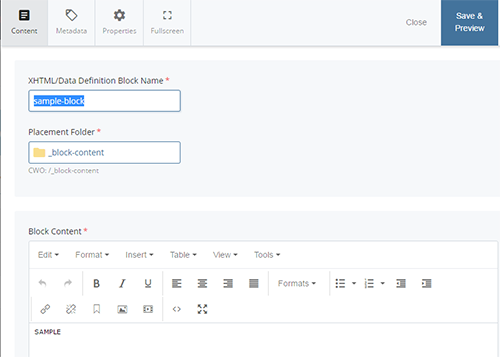 When you click Edit on a page in the CMS, the Edit screen will pop-up, showing the fields you can edit for that page. Tip: If you find it difficult to enter your content in the small text area, click the full screen icon toggle to bring up a full screen. To return to the regular view, click the full screen icon again. Pages start with the metadata fields: Display Name, Title, Summary, Author. You can choose an image to override the default logo set for your site. Be sure to discuss this with your site manager. Automatic Nav is selected by default. This will generate the left navigation from the 'Display Name' entries of the surrounding pages. We recommend leaving it this way unless you have a compelling reason to override the navigation. 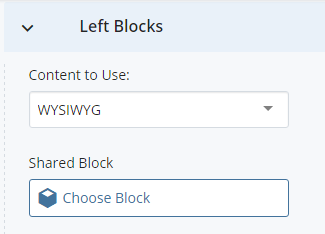 If you choose to use manual navigation, you can enter it into the WYSIWYG field, or use a shared block. To create more column blocks (left, middle, or right), click the plus sign. To delete a column block, click the red X. To reorder column blocks, use the up and down arrows. 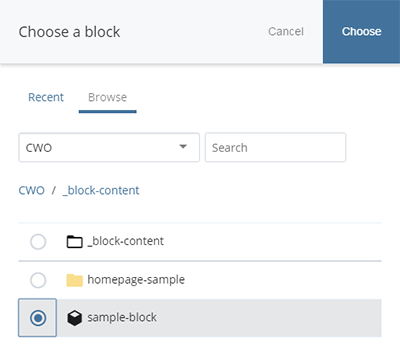 For each block, select either WYSIWYG or Shared Block under Content to Use. 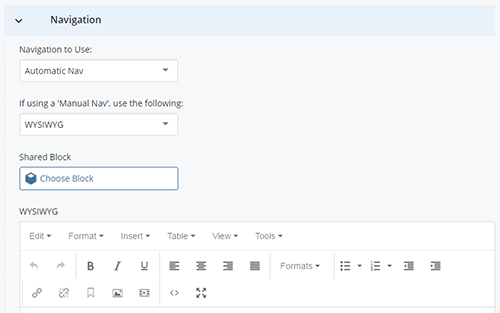 If you choose WYSIWYG, you will use the WYSIWYG editor to enter content. Click Choose Block and Browse to the block you want in the _block-content folder. Click Add Content and choose Block. Enter a system name for the block. Enter the content in the Block Content field. You can now place this block in any column on a page. The two column template provides a large area for content and images. 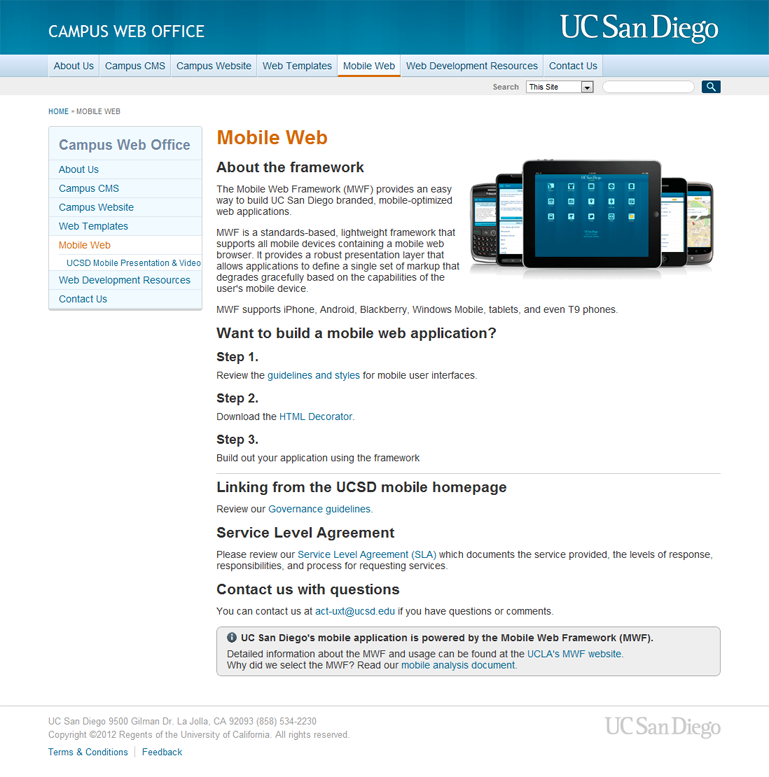 Left-hand navigation reflects the taxonomy of the site. Blocks of content can also be placed below the navigation. 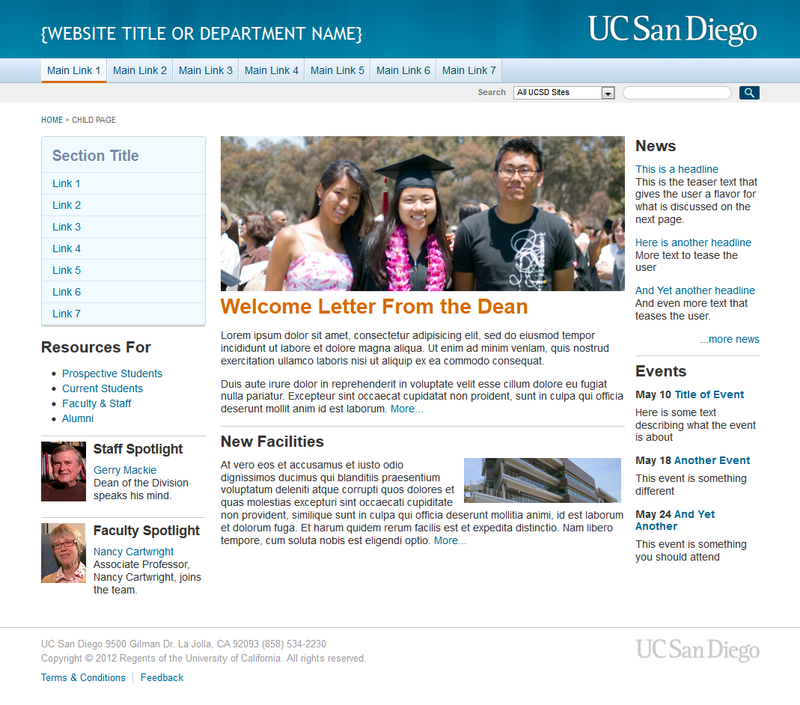 The three column template can be used for pages that have multiple content areas or blocks. This template works the same as the Two Column Template with the addition of a third column on the right side of the page. The drawer template lets you organize content into "drawers" or expandable / collapsible subsections in the center of the page. Each drawer consists of a Drawer Title, where you enter a given section's title text and a Drawer Body where you input its corresponding content. 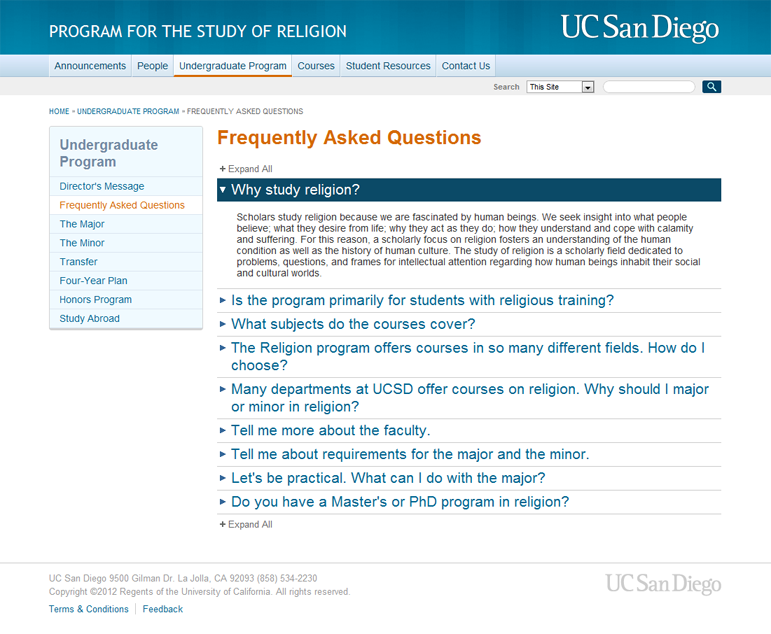 This template is ideal for lengthy content (such as FAQs). The full-width homepage template provides a modern, readable design and is appropriate for the home page of a stand-alone CMS site.